Back in the 1970s I got to spend some time in Germany (West Germany at the time) playing Army. I was pretty good at the playing part; not so great at the Army part. My wife was with me and we were able to travel and see more of Europe than we ever thought we’d see. The food was good (You did notice I started with the food, right? ), the sights were amazing. But some of the people? They could be another story. It was the era of the Red Army Faction, Baader-Meinhof Group and other assorted wing nuts from the left. There were also wing nuts from the right, but it was the wing nuts on the left that were most dangerous to we Americans. They did such things as shoot people, blow up stuff, and in general create mayhem. Eventually they were caught or killed and Germany went on its way with a new assortment of left and right-wing nuts. But for a short while the left-wing German nut cases, the US Army, and baseball all intersected. One evening there was an attack on an American base (nowhere near mine) by a small group of terrorists. Or maybe it was a bunch of GIs out on the street (I forget which after all this time). Either way they didn’t do much damage, but they scared the high command in Europe and so the various bases were told to increase security. 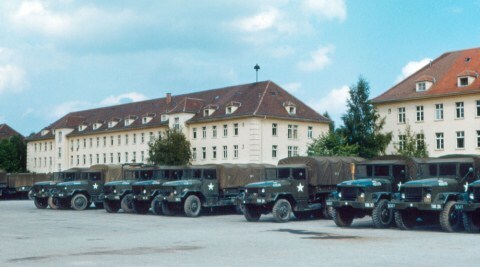 Our base had two units on it, a Headquarters Company (an administrative unit that ran an entire division) and an Adjutant General Company (they did the paperwork). Me? I’d had all the infantry and security work I could stand, so by this point I was a proud paper pusher in the Adjutant General (AG) Company. It was decided that each unit would supply a two-man patrol to walk around the inside of the base perimeter. Each company got half the perimeter, ours getting the side closest to a side street and the back of the post. The Headquarters unit got the other side street and the front of the post. The entire post was surrounded by a brick wall about 10 feet high and we had to walk around the inside base of the wall for a couple of hours then someone else would take our place. When the sun came up the regular Military Police took over the job. As luck would have it I got the very first patrol. As luck would also have it the company commander was as smart as my wife. No rifles were issued. Instead one of the two guards was handed a wooden baseball bat as both weapon and protection. The other guy got nothing but a prayer and a helmet. In my case, they handed the bat to the other guy. I was senior, so we figured the plan was for me to give brilliant orders while the other guy smashed about with the bat at whatever evil minion of either Satan or Communism it was we encountered. By this point you’re probably as worried about me giving orders, brilliant or otherwise, as both he and I were at the time. Him: “Here,” as he handed me the bat. The scenario was supposed to be some terrorist would toss a grenade over the wall just as we waltzed by. I’d spot it and with one majestic swing knock the damned thing back over the wall so it would blow up the jerk who threw it rather than us. That probably sounds as stupid to you as it did to me. He shrugged, “I don’t know. I can’t think of any other reason why they gave us a ball bat. It’s useless against a gun or a bomb, but maybe the genius in charge thought one of us was Babe Ruth.” I resisted the urge to speculate that they might have been more afraid of us with a gun than they were of a terrorist with anything. So off we went wandering both the well-lit byways and the not-so-well-lit backyards of an Army post in Germany. Along the way, back in a far corner where there was almost no light and absolutely no buildings; the exact kind of place where a left (or right) wing nut would try to infiltrate the base, we ran across the other two guards. One was flipping rocks toward the other guy who was banging them, with some success, with his bat. It seems great minds think alike (and so, apparently, did ours). So we joined them, taking turns tossing and swinging. I actually got one over the wall. After two hours of batting practice, mindless wanderings, and no grenades we were back at the company building and turned in the bat now covered with a bunch of dings, chips, and scratches where wood met rock much to the detriment of wood. The CQ (Charge of Quarters–that’s the guy manning the phones after normal hours in case the Commies come across the border or some drunk has to be picked up at the local Provost Marshall’s stockade) grinned at the much dinged up bat but didn’t say anything. This went on for a couple of months before the powers that be decided we were safe from the resident wing nuts and cancelled the guard patrol. No one ever got to knock a grenade over the wall, which was kind of a shame. But the company baseball team ended up having to pick up a new bat. The flick follows the recruiting of players for the initial season for the AAGPBL and then centers on the first year of the team in Rockford, Illinois (the Peaches). The central character is played by Academy Award winner Geena Davis. The Davis character is fictional, but based on a real player. She reluctantly joins the league along with her younger sister. They end up with the Peaches and go on to glory led by a drunken lout of a manager based on the real life Hall of Famer Jimmie Foxx and played by Tom Hanks, another Academy Award winner. The acceptance of the women as players and as women is central to the movie, but so is the relationship between Davis and Hanks. Equally important is the relationship between the two sisters. Lori Petty is terrific as the younger sister trying to break out from the shadow of her older sibling. 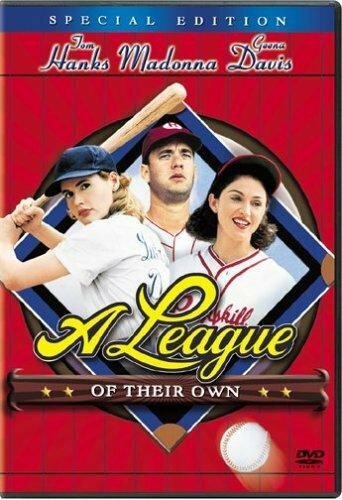 The singer Madonna does a wonderful turn as the amoral and amorous centerfielder “All the Way” Mae. Historically the movie isn’t particularly accurate. For example the 1943 championship is shown as a showdown between Peaches and Racine Belles, the Belles winning. The Belles did win the 1943 championship, but the Peaches didn’t make the playoffs (Kenosha was the Racine opponent). Despite the historical inaccuracies, the movie is worth a look. In many ways the best parts are the interaction between the women trying to balance ball playing with a personal life and the rivalry between the two sisters, one a superior ball player and the other determined to show she can play also. Check it out. As an aside, when the American Film Institute did its list of “greatest film quotes of all time”, the “There’s no crying in baseball” line was rated number 54 (losing to “Frankly, my dear, I don’t give a damn” from “Gone With the Wind). Just saw that Joe Garagiola died at age 90. 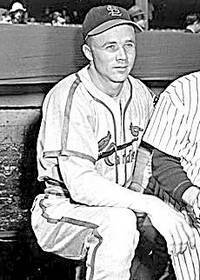 He played for St. Louis in the 1940s, making the 1946 World Series team, then bounced around with teams like Pittsburgh, Chicago, and the Giants. He last played in 1954. 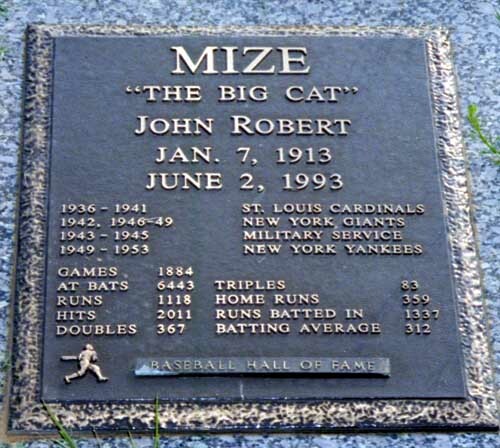 Never a particularly great player he made his name as one of those broadcasters who came out of St. Louis in the 1950s (Jay Randolph, Jack Buck, Dizzy Dean were others). He was on national television broadcasting several World Series’ for NBC. He also did a stint on the “Today” show and hosted a handful of game shows. In 1991 he won the Frick Award for broadcasting, giving him an entrée into the Hall of Fame (he’s not actually a member but the award winners are recognized at the same time as the inductees). Additionally, his son Joe Junior became general manager of the Diamondbacks and serves as VP for on-field operations of MLB. With the World Series tied one game to one in 1942, the championship opened a three game set in Yankee Stadium. The first game in New York occurred 3 October. The hometown Yankees sent Spud Chandler to the mound. 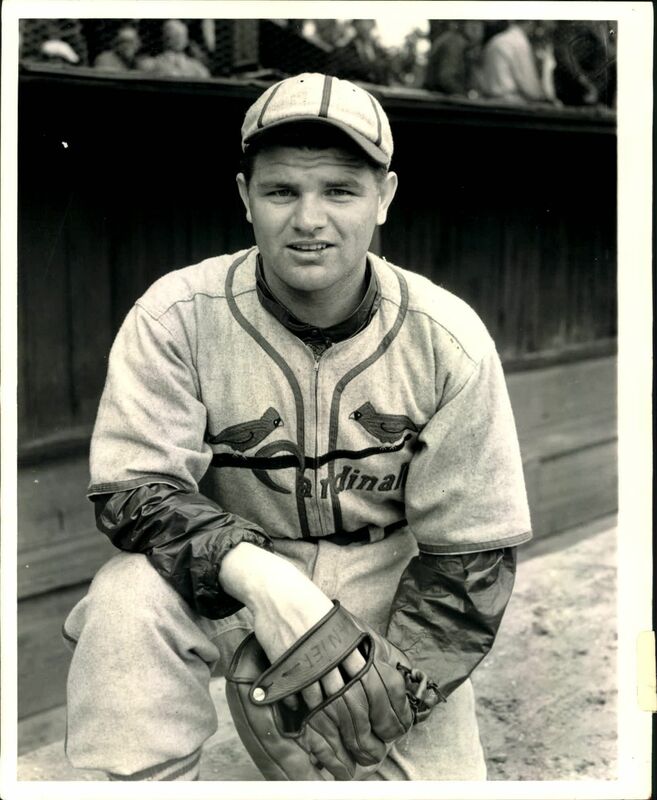 St. Louis responded with seven game winner Ernie White. The game ended up being a real pitcher’s duel. Chandler was perfect for two innings but walked Whitey Kurowski to lead off the top of the third. A Marty Marion single put runner on first and second. White followed with a bunt that moved each base runner up one. Then a Jimmy Brown ground out second to first allowed Kurowski to score. And that was it through the eighth inning. White was great, walking none and giving up only five hits, all singles. Except for giving up the run, Chandler was even better. He gave up three hits and walked only one in eight innings. But he was lifted for a pinch hitter in the bottom of the eighth, bringing Marv Breuer into the game for New York. A single, an error by Breuer, and another single gave St. Louis a second run and sent Breuer to the showers without recording an out. In the bottom of the ninth White gave up a final single but a Charlie Keller fly to right ended the threat and put the Cardinals up two games to one in the Series. White was the big hero, he’d pitched a complete game shutout and even delivered a sacrifice bunt that helped lead to the Cardinals first (and winning) run. For Chandler it was a great game also, he just had the bad luck to give up one run (on a ground out). Now New York needed to win the next game to tie up the Series. 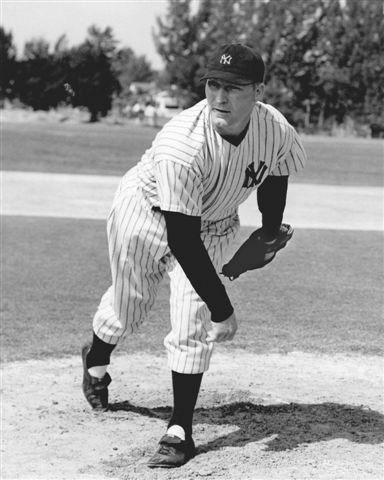 On Sunday 4 October the hometown Yankees sent Hank Borowy to the mound to oppose game one loser Mort Cooper. Today Borowy is primarily famous for starting the last ever Chicago Cubs World Series game (game 7 of 1945) but in 1942 he was a significant member of the New York staff. And he started out well while Cooper struggled. In the bottom of the first a Red Rolfe double and a Roy Cullenbine single scored the first run of the game. Over the first three innings Borowy walked one and allowed a couple of hits, but no runs. That changed in the top of the fourth when St. Louis tallied six runs. Singles by Stan Musial and Walker Cooper (Mort’s brother) put two men on. Then Borowy walked Johnny Hopp. That brought up Whitey Kurowski. He singled scoring both Musial and Walker Cooper and sent Hopp to third. Marty Marion then walked. Pitcher Mort Cooper singled to let in both Hopp and Kurowski, and send Borowy to the bench replaced by Atley Donald. He got an out, then a Terry Moore single plated Marion. An out later Musial’s second hit of the inning, this one a double, scored Mort Cooper to give St. Louis a 6-1 lead. 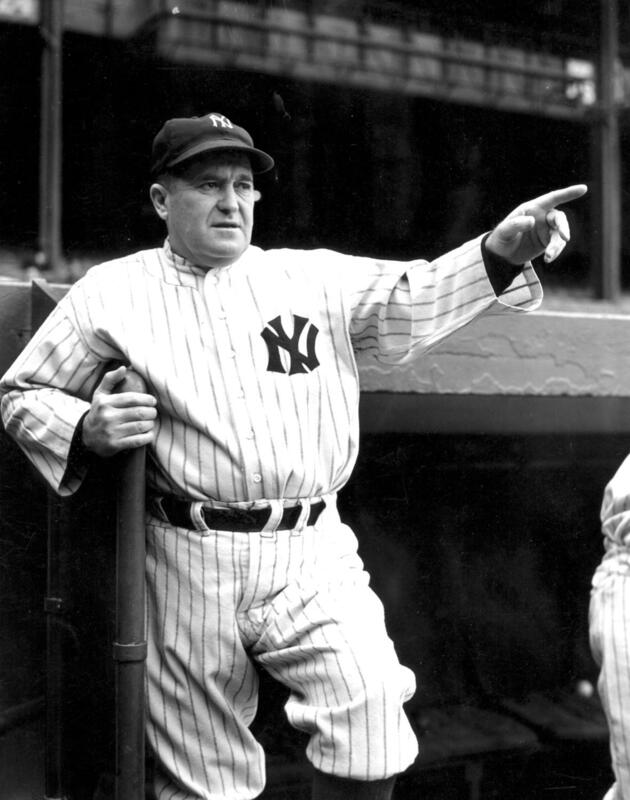 It lasted to the bottom of the sixth when New York lit up Mort Cooper and tied the game. A Phil Rizzuto single led off the inning. Then Rolfe walked. A Cullenbine single scored the Scooter. After an out Charlie Keller smashed a three run home run and sent Cooper to the showers. An error put Joe Gordon on base, a grounder sent him to second, and a double scored Gordon to knot the game at six each. Walks to Enos Slaughter and Musial put two men on base to open the seventh inning. Walker Cooper’s single scored Slaughter. An out and a walk later Marion hit a long fly to center that scored Musial and the Cards were back on top 8-6. The Cards sent Max Lanier to the mound to hold the Yanks in check. He worked around an opening single to keep St. Louis ahead, then got around both a hit and a walk to keep the score 8-6 going into the ninth. In the top of the ninth, Hopp led off with a single, went to second on a bunt, and scored on a Lanier single. Lanier gave up one more single in the ninth, but again no one scored and the Cardinals won the game 9-6. It was the highest scoring game of the Series. Both teams did most of their scoring in one big inning (six runs for St Louis and five for New York). Musial and Walker Cooper both scored two runs and drove in one. Kurowski and Mort Cooper both had two RBIs. Charlie Keller provided the big blow for New York with his three run home run. Down three games to one, New York was in an unusual situation. Winner of eight straight World Series, stretching back to 1927 (’27, ’28, ’32,’ 36-’39, ’41) they’d seldom been in a hole. They had one last game at home to crawl closer and send the Series back to St. Louis. If the Yankees represented the old guard of 1940s baseball, the St. Louis Cardinals were the new guys. They’d been bad to terrible in the first 25 years of the 20th Century, then had a nice run for 10 years from 1926 through 1935, but hadn’t won since the 1934 “Gas House Gang.” By 1942 they were again competitive enough to win. 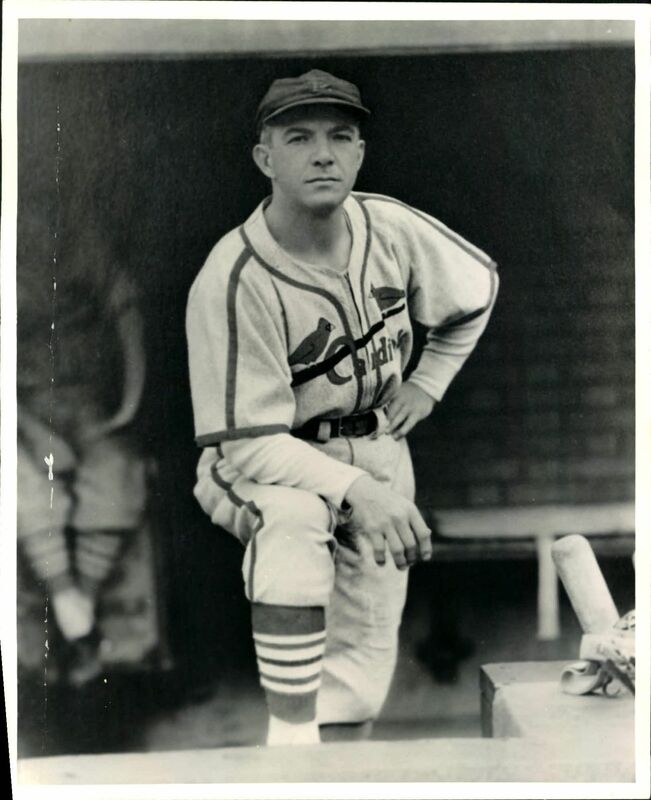 Three years into his second stint with the Cards, Hall of Fame manager Billy Southworth (a St. Louis stalwart during the 1920s run) had a young team. It finished first in the National League in runs, hits, doubles, triples, average, total bases, slugging, OBP while coming in second in stolen bases, third in walks, and sixth (of eight) in home runs. The pitching was first in runs, hits, strikeouts, ERA, and shutouts. It was second in walks and sixth in homers. In fielding they were solidly in the middle of the pack. From first around to third the infield consisted of Johnny Hopp, Jimmy Brown, Marty Marion, and Whitey Kurowski. None were household names. Hopp, a transplanted outfielder, led the team with 14 stolen bases while Brown’s 71 RBIs were third on the team (only one RBI out of second place). Marion led the infield in average at .276 and was considered one of the absolutely finest shortstops of his era. Kurowski who was famous for clutch hitting had nine home runs, good for third on the team. In one of those bits of trivia that only baseball can give you, three of the four (Hopp, Marion, and Kurowski) had an identical OPS+ number of 103 (Brown’s was 80). Marion’s 4.7 WAR was tops in the infield and fourth on the team. At 1.9, Kurowski was the only other infielder to have a WAR in the team’s top 10. The backups were Creepy Crespi, who spelled Brown a lot at second and Ray Sanders who took over at first when Hopp sat out. Sanders’ five home runs and .252 average were both better than Crespi. 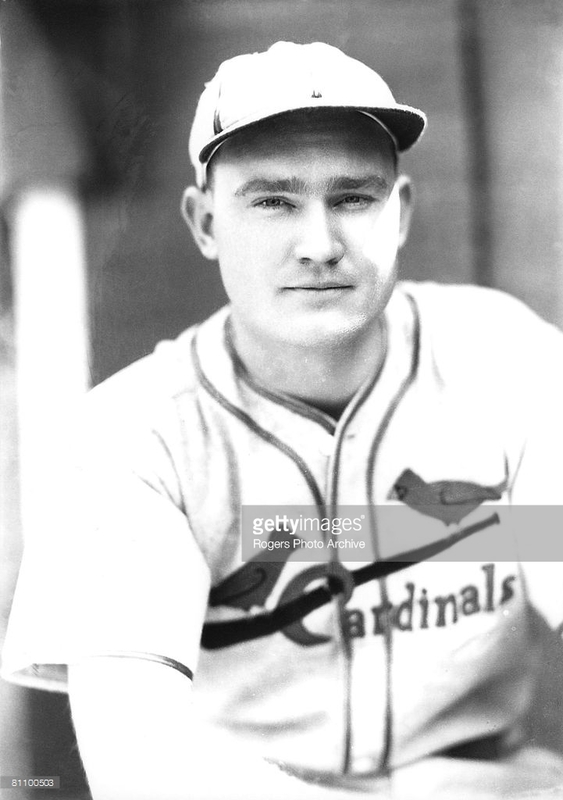 Erv Dusak was a multipurpose player who did some outfield work and took over on occasion for Kurowski. He hit under .200 with no power. The outfield was better. It consisted of two Hall of Famers and Terry Moore. Moore, along with Brown, was the only starter above 29 (he was 30 and Brown 32). He’d been the regular center fielder for a few years and had established himself as a decent fielder who hit in the .280s with little power. 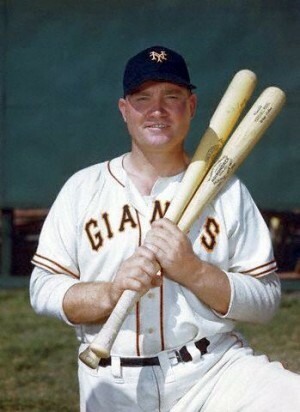 In 1942 he hit .288 with six home runs and 10 stolen bases. The stolen base total was second to Hopp on the team. His OPS+ was 114 and his WAR was 2.6. Enos Slaughter was the Hall of Fame right fielder. His 13 home runs and 98 RBIs led the team. He also led the team in both hits and runs scored, walks, average (.318), and all the other triple slash stats. His OPS+ was a team leading 156 and his 6.2 WAR was first among hitter. 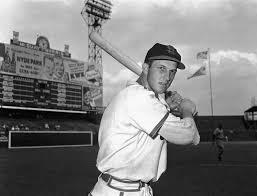 The left fielder was a 21-year-old rookie named Stan Musial (“The Man” nickname would come later). He hit .315, had 72 RBIs, 10 triples, 10 homers, a 151 OPS+, and 5.3 WAR. Everybody agreed he was good. No one yet quite knew that he was Hall of Fame material. Harry “the Hat” Walker and Coaker Triplett were the backups. Walker (who would later win a batting title) hit .314. Triplett hit .273 and had the only home run between them. He led the pair in RBIs, while Walker took the lead in runs scored. Walker Cooper was 27 and Ken O’Dea was 29. Between them they did most of the catching. Cooper was the primary catcher hitting .281 with seven home runs and seven triples. His 65 RBIs were fourth on the team. His OPS+ topped out at 115 and he produced 2.4 WAR. O’Dea hit .234 with five home runs, only an OPS+ of 85 and 0.5 WAR. They caught a fairly typical Cardinals staff. Through the 20th Century the Cardinals seldom produced a great pitcher who lasted very long (see Dizzy Dean as an example). What they did produce (Bob Gibson being the greatest exception) was a series of solid pitchers who gave the team several good years and frequently one or two outstanding years. 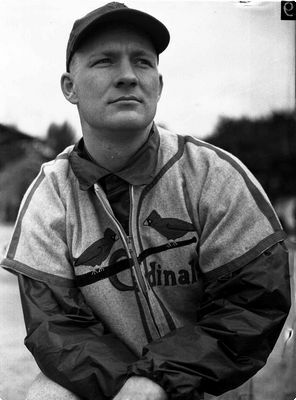 There was the occasional Harry Breechen or Bob Forsch who stayed around for a long while, but generally St. Louis relied on a “staff” rather than one pitcher. In 1942 they had “one pitcher,” sort of. Mort Cooper (Walker’s older brother) was the staff ace. He won 22 games and an MVP. His 8.4 WAR easily led the team. The 1942 season was the beginning of a three-year run for him which faltered quickly. The rest of the staff was made up of solid pitchers who fit very much into the Cardinals mold. Max Lanier and Johnny Beazley both won in double figures (Beazley had 21 wins), had ERA’s under 3.00, and struck out more men than they walked. Lanier’s WAR was 4.4, Beazley’s was 4.2. Ernie White and Harry Gumbert were the only other two pitchers to start 15 or more games. Gumbert doubled as the main stopper out of the bullpen (that meant all of five saves in 1942). The 1942 Cardinals were a better team than most people seemed to believe. New York was, understandably, the favorite. But the Cards were good and promised to make the World Series competitive. You are currently browsing the Verdun2's Blog blog archives for March, 2016.